It's your next truck, SUV or car...Check out our great deals at any of our locations in Portland, Belfast, Augusta and Bangor, Maine. We work with dozens of local Maine lenders so you can apply for financing for your ext purchase. Apply for approval today! Take advantage of our knowledgeable auto repair technicians and a fully-stocked inventory of vehicle parts. We're eager to provide financing for your new car, or we can assist in used car financing. We will work with you to secure a no credit car loan if your situation demands it. 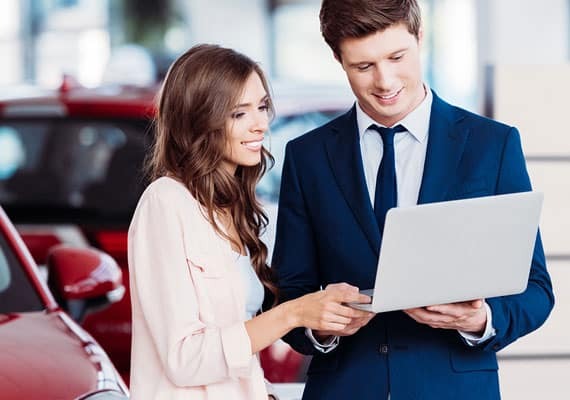 Quirk Auto Group has strong relationships and is committed to finding you the perfect car loan to suit your car finance needs. 21 full service dealerships to accomodate your needs. Searching for a new vehicle? Your search will be cut short once you visit our Quirk dealerships in Bangor, Portland, Augusta and Belfast. At our new and used dealerships, we have a great selection of vehicles ready to be test driven immediately with fresh, updated special offers on your favorite brands. Not only do we possess plenty of high quality Chevy, Subaru, Jeep, Ram, Ford, Mercedes-Benz, Hyundai and Mitsubishi models, we have top-notch Service Centers to help ensure the best auto repair and services for all types of vehicles. Looking for a used vehicle? We have a tremendous selection of quality used vehicles at Motor City Used Vehicle Centers in Bangor, Belfast, Augusta and Portland. Looking for a wholesale to the public vehicle? Visit Cars By Us at 361 Griffin Road in Bangor.